From weekly or monthly lawn maintenance programs to custom designed landscape or hardscape solutions, we do it all. Whether you need retaining walls, replacing sod or just adding a few shrubs and or trees to your landscape, no job is too small and we can handle any job. 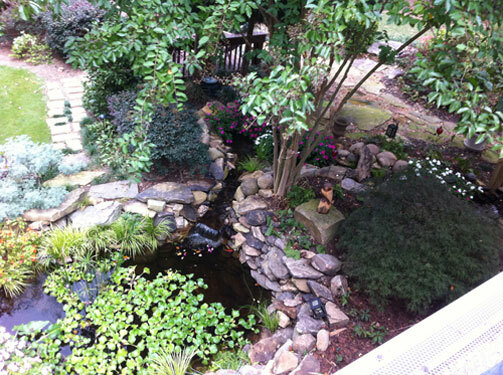 With Over 25 yrs Experience in Georgia landscape management, we can design, build and maintain any landscape imaginable - From concept to a finish product. We can help turn your landscape dreams into a part of your home rather than your back yard. We can work with any budget and help you get the most for your money. Just remember that Rome was not built in a day, so its OK to let your landscape evolve over time and build one plan to the next. This way your landscape can always change and add something new every year. Give us a call to discuss your landscape ideas and needs today.